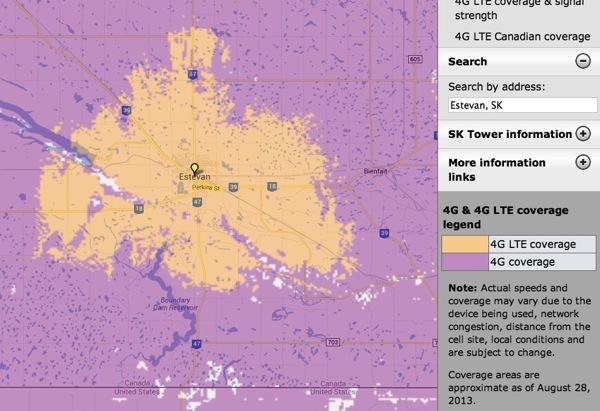 SaskTel has announced this evening residents in Estevan now have access to their 4G LTE network, and can expect “data speeds approximately five times faster than the current 4G network”. Most recently, Swift Current was the last city to receive LTE, to go along with Moose Jaw, Weyburn, Prince Albert, Yorkton and North Battleford launches this summer. SaskTel currently offers a $65 per month plan which includes unlimited talk, text and data. Update: Looks like we missed the announcement North Battleford received LTE as well–sorry folks (thanks Michael! ).